Tesla Motors Inc.’s bid to buy the biggest U.S. rooftop solar installer has little to do with selling cars. Rather, it’s about solving two of the biggest problems standing in the way of the next solar boom. And perhaps a good deal more. When Chief Executive Officer Elon Musk came out last week with his $2.86 billion plan to acquire SolarCity Inc., it was almost universally derided as a risky financial move that threatens to derail the electric car maker at its most critical moment. That’s undoubtedly true. But in the dozens of analyst notes and news stories that picked apart the deal, there’s been little attention paid to what we’ll call “Tesla Solar” and how it could transform the power sector. It’s actually a really big idea. Solar Problem No. 1: It’s too complicatedConsider the average homeowner who might be vaguely interested in adding rooftop solar. Where does the process start? This problem has dogged solar companies for years. Vivint Inc. has legions of door-to-door salesmen, while others have deployed mailers, robocalls, sports sponsorships, and internet search ads. None of it resonates all that much. Musk, who turned 45 on Tuesday, wants to change this daunting transaction in the same way the Apple Store changed the way we buy consumer electronics. Fifteen years ago, Apple Computer Inc. (as it was known then) faced problems similar to those hobbling solar today. Buying a computer was a big investment: They were complicated, the benefits uncertain, and the choices undifferentiated. Sound familiar? With the opening of the first Apple Stores, electronics shopping turned from exasperating to joyful. Consumers got to touch and play with the products and ask questions from no-pressure salespeople. Early critics said the stores had too few products and would never make money, but before long the stores themselves became a destination. Tesla showrooms are cast from the same mold. At the new Tesla outpost in Brooklyn’s Red Hook neighborhood, customers sip free espresso and chat about cars. People go there to learn about electric vehicles often for the first time, and much of the experience is focused on education. Central to all of the showrooms is a stripped-down aluminum Tesla chassis, so customers can get a feel for how the battery and electric motors work. You can even take a test drive with the kids in a tricked-out $130,000 Model X SUV, and no one will ever ask if you want to buy a car, let alone haggle over prices and options if you do. For solar companies, one of the biggest costs is making that initial connection. For every dollar SolarCity spends on marketing, it installs only an additional half-watt of solar power, according to Bloomberg New Energy Finance (BNEF). To put that in perspective, a typical rooftop solar system in the U.S. is rated at more than 5,000 watts. This is the biggest reason rooftop solar costs almost twice as much at SolarCity ($3.20 per watt) as similar systems in Western Europe or Australia ($1.70 per watt), according to BNEF. Most people in the U.S. just ignore the expensive marketing anyway: A BNEF survey found that 40 percent of buyers were referred by a friend or family, and 28 percent instigated the purchase themselves. Other retail companies have experimented with solar partnerships—including Home Depot Inc. and Ikea—but the strategy never really took off for these retail megastores. The solar industry is a product in need of an Apple Store, and Tesla happens to have hundreds of showrooms with very few products to sell. Critics of the SolarCity deal brushed aside the so-called synergy of selling cars and solar panels in the same location, but that may miss the point. Is a customer likely to walk in and buy both at the same time? No more likely than an Apple Store customer will buy an iPhone and a desktop Mac simultaneously. Instead, what ties the cars-plus-solar Tesla store together is an implicit guarantee of good customer service and sophisticated technology that’s easy to use. That’s branding that can never quite come together so long as Tesla and SolarCity remain separate companies. But together, it just might expand the entire market for solar. A Tesla showroom finally answers that question asked by millions of homeowners: Where do I start? Solar Problem No. 2: The sun goes downHere’s where things get interesting. Tesla isn’t just a car company looking to buy a solar company. It’s also a battery company that wants to link its two biggest markets: energy supply (solar) with energy demand (electric cars). Cheap and efficient batteries are what make Tesla cars possible, and they have the potential to change the economics of solar, too. The solar-plus-battery bundle hasn’t really caught on yet. SolarCity’s total bundled sales thus far number in just the hundreds. But that’s because the batteries are still too expensive, and because a government policy known as net metering makes it more profitable to sell solar power back to the grid. Both of these obstacles are about to be flattened. Musk is betting that, in the next five years, the price of solar bundled with batteries will cost less than electricity from the power company. A Tesla Powerwall battery currently costs about $3,000 for a 6.4-kilowatt-hour (kWh) battery, not including the considerable costs of the power inverter and installation. That’s a lot of money for a little bit of electricity. But Tesla plans to announce the first production of battery cells from its massive “Gigafactory” in Nevada later this summer: When fully up and running, it will produce more battery capacity than the entire global market for lithium ion batteries made last year. The scale is crucial for the rollout of Tesla’s mass-market Model 3 electric car, due in 2017. By 2020, Tesla is aiming to bring the cost of battery packs down to about $100 per kWh—from an industry average of $1,000 in 2010 —according to RBC Capital Markets analyst Joseph Spak. At that price, a Tesla Powerwall battery could cost as little as $640 to make. With an integrated Tesla Solar company, the additional costs of bundling a battery with a $25,000 rooftop solar system would be minimal. At that point, it almost makes sense for Tesla to install batteries as standard with every new solar project. Net metering rules, which require electric utilities to buy back rooftop solar from customers at retail rates, are the biggest U.S. subsidy for solar power. But as solar power spreads, the policy will begin to destabilize grid economics. Several states have reversed their rules already, most notably Nevada, where the abruptness of the turnabout left customers in the lurch with overbuilt solar systems and no way to recoup costs. Higher-capacity battery storage will eventually allow solar customers to profit from their solar systems with or without net metering. It’s investment security for the homeowner. A group of solar firms and utilities are pushing to keep net metering rules in place until at least 2020, according to Peter Rive, SolarCity’s chief technology officer. After that, the company plans to begin including batteries with most of its solar systems, Rive told investors on a May 9 call. Next Up: Tesla EnergyEverything described thus far is the beginning, not the end, of the possible advantages of “Tesla Solar.” What comes next is more speculative, but perhaps more profitable. Basically, there are regulatory changes that are coming to U.S. utility markets that could allow Tesla to dip into one of the most lucrative businesses in the power sector. Tesla could become a sort of power company itself. The idea is that Tesla could create its own electricity network, aggregating bits of power from thousands of batteries and rooftop solar systems it installs for customers, and sell that energy back to the grid when demand is greatest. This could be used to provide the grid with extra generating capacity during hours of peak demand. But an even brighter market for a network of lithium ion batteries may be to smooth out the tiny surges and shortfalls of the electricity supply that occur throughout the course of any given day. “This is the most popular service for stationary storage, as it pays so well,” said BNEF analyst Julia Atwood. “And it pays so well because the provider has to respond incredibly quickly and accurately, which is something batteries do very well.”If Tesla produces the cheapest lithium ion batteries available, and it begins to offer them standard with every rooftop solar system that Tesla Solar sells, it could suddenly find itself in control of a very large supply of flexible battery storage. The proceeds could be shared with customers directly or used to subsidize the upfront cost of rooftop solar installation. Aggregating battery and solar capacity into a virtual power plant isn’t a particularly new idea, and it’s one that companies like SolarCity and Enphase Energy Inc. have flirted with in the past. It just hasn’t yet had the scale or the regulatory freedom that the business requires. But California, New York, and Texas are all working on plans that would allow this very scenario to play out. Why now, and why SolarCity? Without a merger, Tesla could continue selling batteries to various solar installers, including SolarCity, but its would always compete in a commodity market for the cheapest battery. The solar project itself would be branded SolarCity (or Vivint or Sunrun), instead of using the Tesla name, and it wouldn’t be Tesla that aggregates and profits the most from its batteries. Tesla and SolarCity also have complementary product announcements coming up that make sense for the timing of a deal. Tesla is about to cut the ribbon on the world’s biggest battery factory and unveil the next version of its Powerwall battery pack. SolarCity is getting ready to reveal a new line of high-efficiency panels that it developed from its acquisition of California startup Silevo Inc. in 2014. Musk said he wants to put his mark on those panels, which will be produced in the largest U.S. solar panel plant, which is still under construction. SolarCity’s Panel Gigafactory Cost: $750 million Location: Buffalo, New York Manufacturing capacity: 10,000 panels a day Power: 1 gigawatt of panels a year Panels: Industry-leading efficiency; Musk promises new aesthetics that add value to the home Start date: 2017The acquisition really couldn’t have happened with another solar producer. SolarCity has the right scale of operations and the American-made panel factory. It’s also hopelessly tangled up with Tesla already. There’s only one member of SolarCity’s board who doesn’t have direct ties to Tesla, and two-thirds of Tesla’s shareholders already own shares of SolarCity. While the timing does complicate Tesla’s unprecedented ramp-up of its Model 3 electric car production, the competition for electric and autonomous cars is only going to get more fierce. Companies including Apple, Volkswagen AG, General Motors Co., and Daimler AG have all committed to electric vehicle programs to challenge Tesla. Musk’s ambition creep is all his company has ever known, and is probably all it will ever know if it’s going to succeed against the biggest technology and automobile companies in the world. Is SolarCity a major distraction for Tesla? Probably. Does it add existential risk to both of these long, cash-torching bets? Most likely. Are the conflicts of interest messy? Definitely. But could the deal also result in the world’s first clean-energy juggernaut, a company that does for solar power, batteries, and electric cars what Apple did for computers, phones, and software apps? It’s worth considering. Punch in the stomach or a wake up call to installers ?? 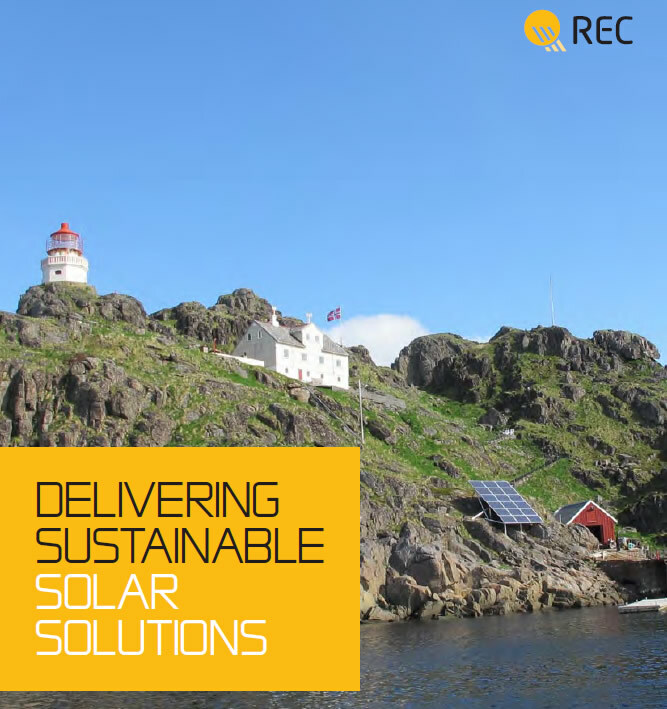 What is the real purpose of drastic feed in tariff reductions? Most of us expect government to govern to improve the lives of the whole population. When governments are not doing so, they must still issue statements to look as if they are. And so it was when Amber Rudd, the minister for Energy and Climate Change said in justification of a proposed dramatic reduction in renewable electricity feed in tariffs (FITs), “We need to keep bills as low as possible for hardworking families and businesses while reducing our emissions in the most cost-effective way.” Whereas the reality is that our government are intent on preventing the renewables industry from competing with a new subsidised Hinckley nuclear power station, a new subsidised fracking industry and the remaining – hard to extract (and supported by recently announced generous tax breaks) – off-shore oil and gas fields. Whose interests is government protecting I wonder. I can’t believe it is the interests of the whole UK population. Renewable electricity, once the generation equipment is installed, is almost free. Wind, sun and moving water cost nothing and the cost of equipment maintenance is minimal. Yes there is the ongoing cost of feed in tariff to encourage householders and businesses to install currently adding £45 a year to each household bill but most of the bill is fossil fuel costs. A coal or gas fired power station always pays for fuel whereas with renewables the cost of subsidy comes down to eventually reach zero. The impression is given by government ministers that FITs are coming out of government spending so allowing them to link slashing FITs to the need for austerity. Also that renewables are adding large amounts to consumer bills. Neither is true. The 3% of household energy bills that pay for the feed in tariff is actually an excellent investment in reducing future bills. The subsidy for Hinkley C ties consumers to high electricity prices for the next 30 years. Since the introduction of the feed in tariff in 2009, renewables – particularly photovoltaics – have grown quickly to provide 22.3% of UK electricity in Q1 of 2015, 2700 installation companies and 112 thousand jobs. The proposed rapid FITs cuts of 40% for wind and hydro and 90% for PV puts the industry, those jobs and future recovery in serious jeopardy. Householders will not feel it worthwhile to install PV until prices drop by £800 for a 4 kW system (which will not happen for a few years yet). New small hydro and wind schemes will not seem worthwhile, especially given the difficulty and expense of getting planning and environmental permissions. Businesses will go to the wall and thousands will lose their jobs. Are the Conservatives the party supporting small businesses? The renewables industry is as keen as the government to get to a subsidy free future but sudden unpredictable changes are extremely damaging and unfair. Amber Rudd has previously expressed understanding and enthusiasm for renewables and community owned renewables in particular. There is no preferential treatment for community renewables in the current proposals and it is evident that George Osborne has overruled Amber. His enthusiasm for fracking is obvious. When announcing encouragement for fracking he stated, “This new tax regime, which I want to make the most generous for shale in the world, will contribute to that. I want Britain to be a leader of the shale gas revolution – because it has the potential to create thousands of new jobs and keep energy bills low for millions of people.” But renewables have a greater capacity to deliver geographically distributed jobs, climate change mitigation and eventual lower electricity prices. The inevitable future is a multiplicity of small widely distributed clean renewable generators with less demand on the inefficient high voltage national grid. PV will be attached to most buildings and wind turbines of all sizes will be far more common. Demand will be smoothed with battery storage and base load will be covered from tidal lagoons around our coast. Crucially, this will achieve lower prices and no carbon emissions. Given the Climate Change imperative, we should be getting there ASAP. So why on earth our government slowing this down and guaranteeing high electricity prices for longer? This piece is penned by Keith Wheaton Green a supporter of renewable energy and first published in the Landsman. I just read this article on the Guardian website and its so simple why don’t we do something similar. Local authorities will be empowered to ensure that on all new builds they will have to have either solar panels or plant covering. Both options are a win, win for the local community with new natural energy being created or more food and living space for wildlife. In the coming years we shall be having Local Plans created probably without any input from many of the communities that they are being created for. Here’s an idea to take to your own Local Plan facilitators, get involved and see what they are doing, are they thinking Green, local and sustainable. "Such a no brainer get onto your local MP’s, Councillers, Builders and make them see sense "
Dorset Energized are very excited to be in partnership with ACE Energy – Award Winning Plumbing, Heating & Renewable Energy Specialists who design, install and commission Combined Heat & Power systems including; Solar Photovoltaic (PV), Solar Thermal, Heat Pumps and Biomass (Wood Energy). Their Renewable Energy arm based in North Dorset have recently installed a 22 kW solar PV system on the roof of the Percy Centre. The Percy Community Centre was opened in 1991 to provide community facilities for the diverse communities of Bath and North East Somerset (B&NES). The aims of the organisation are to provide a well-maintained, accessible community resource for other voluntary sector and community groups and to support the economic activities of individuals with a range of services. The Centre now has over 50,000 users a year and hosts a regular schedule of around 25 different activities each week, including dancing, creative writing, parenting advice, welfare to work programmes, play groups and a wide range of sports and martial arts. 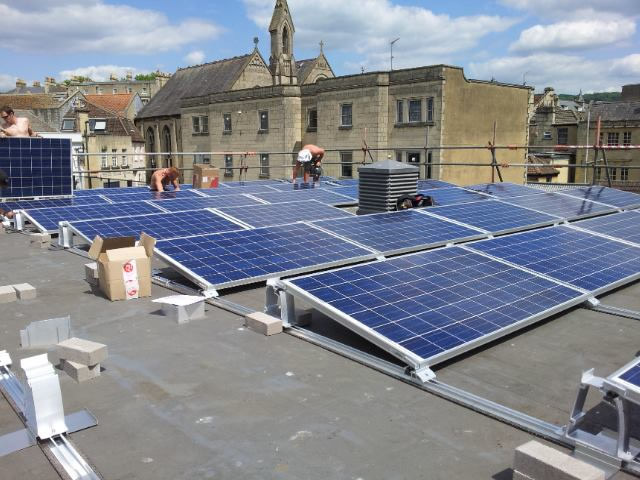 The Photovoltaic system has already generated 5,000 kWh of power and their last electricity bill for the whole of the centre was only £100 leaving more money for their community activities. 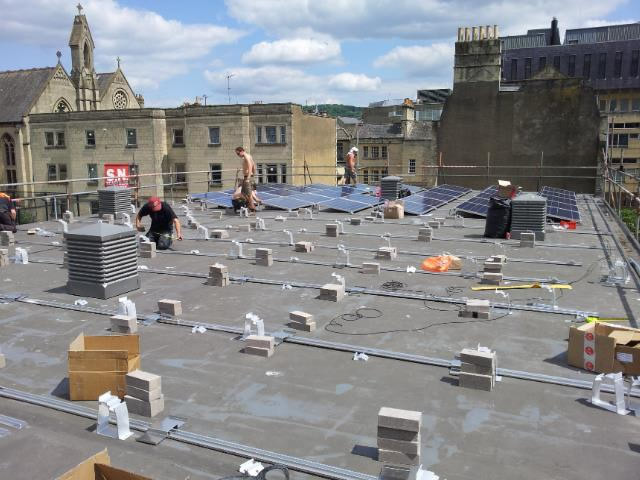 “We are very proud of this installation – not only is it an excellent sized system generating renewable energy for Bath – it is also saving money being positioned on a very worthwhile community project in the City. The system will generate around £2,000 worth of zero carbon electricity and raise the green credentials of The Percy Centre. We would love to do more of these types of schemes and encourage Village Halls and other Community buildings to get in touch with Dorset Energized and learn more about the benefits from renewable energy installations”. Dorset Energized are very excited to be in partnership with the “Best Renewables Installers in the South” – NGPS Ltd – Award Winning Electrical and Renewable Energy Contractors experienced in the design, supply and installation of Solar Photovoltaic (PV) and Solar Thermal, as well as Ground & Air Source Heat Pumps which are the perfect renewable energy partner for Solar Power. 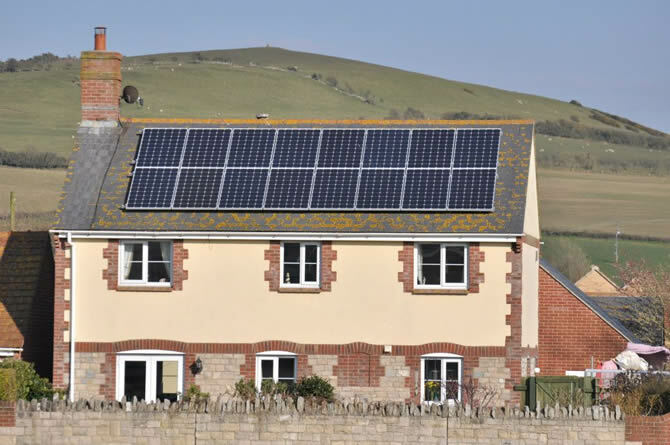 In 2013 NGPS fitted 16 Canadian 250 watt Mono modules with Enphase micro inverters on a home in Bridport, Dorset. These inverters are guaranteed for 25 years. As of 1st July 2013, NGPS have actually completed 50 Enphase PV systems and are the first Dorset company to do so. Enphase is described as “The future of Solar” as its proven microinverter technology maximizes production of each module, enabling flexible designs and cost-effective installations. Enphase delivers more kilowatt-hours daily, monthly and yearly – even through the partial shade of clouds, trees, or structural obstructions. Plus, it increases uptime by eliminating the single point of failure common to traditional inverters. In June 2013 NGPS installed solar panels for a specialist adventure park builders, JM Adventure of Swanage, Dorset. 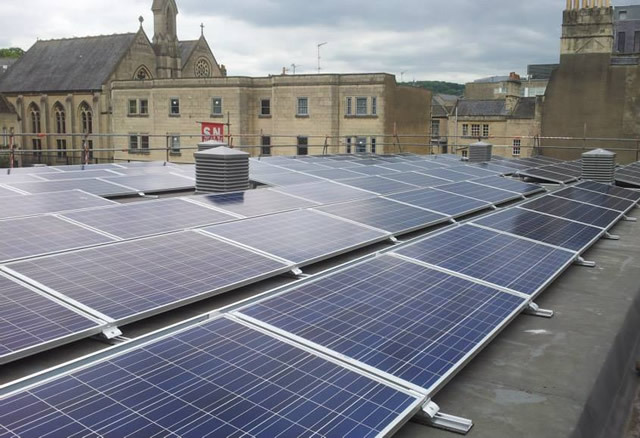 They had 10kW of solar PV installed onto its business premises, adding to the growing list of companies who are going green and reducing their carbon footprint here in Dorset and the UK. 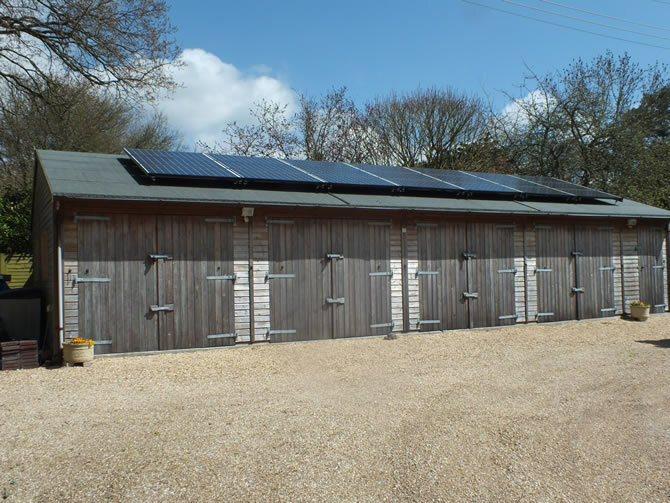 The owners of a thatched cottage near Wimborne, Dorset wanted solar PV so NGPS installed 4kW onto the South facing garage back in February 2012. This system is producing over 3900 kW hours a year, providing the owners a return on investment above 12% per year, tax free and index linked for 20 years. The electricity generated is fed back into the cottage, reducing the import bill. 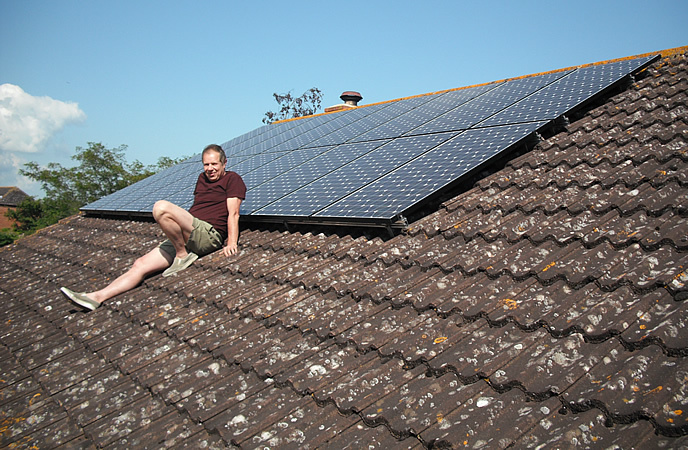 In May 2013, a 3 kW PV system was installed by NGPS in Creekmoor, Poole, Dorset. This is 12 Canadian 250 MONO modules with Enphase individual inverters. All this equipment has a 25 year warranty. All installed including energy performance certificate and VAT for under £6,000. This system will pay for itself in under 7 years, will provide a tax free index linked income and reduce the electrical import cost. 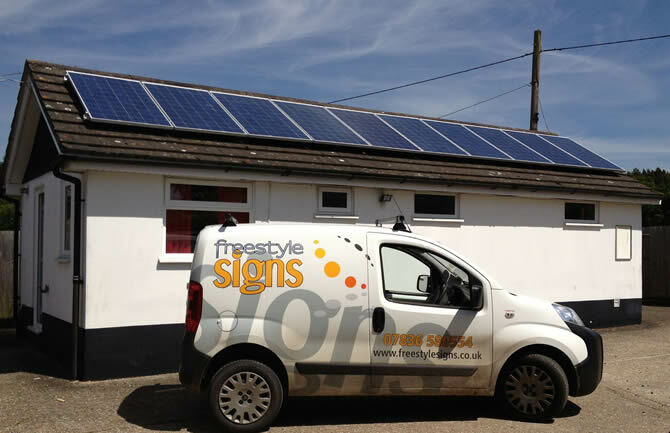 Freestyle Signs near Cadnam in the New Forest, Hampshire/Dorset have reduced their company’s carbon footprint and installed a 2.25kW solar PV system onto the business unit, installed by NGPS in June 2013. This will provide them with a feed in tariff income which is tax free and index linked, and will also reduce the electrical import costs. All guaranteed for 20 years. 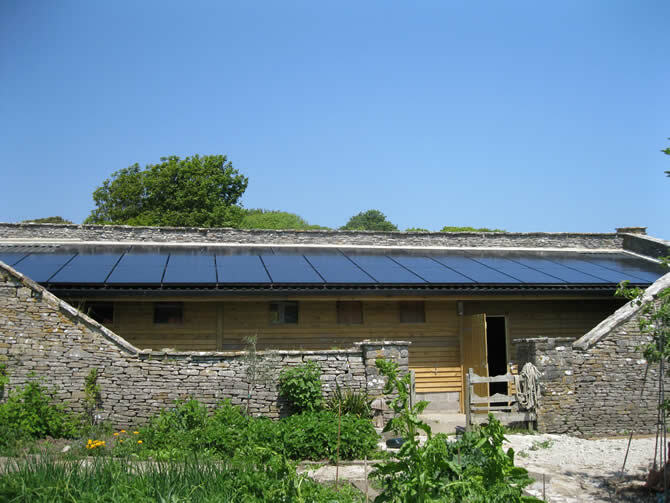 NPGS installed solar panels on a farm at the Renscombe Estate, Worth Matravers, Dorset. 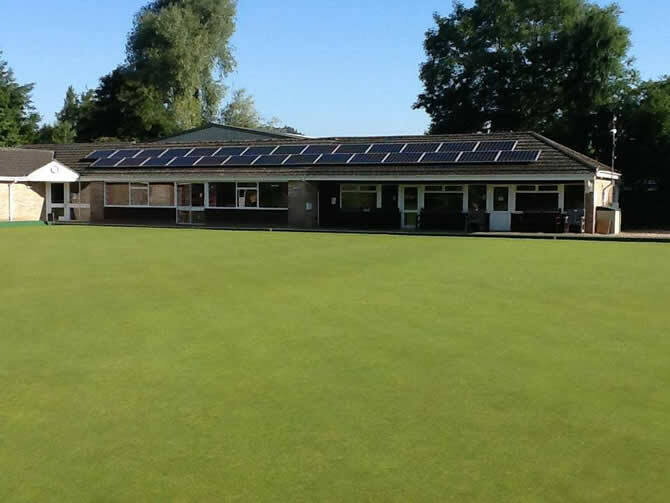 In July 2013, NGPS fitted Honiton Bowling Club in Devon with 7.9 kW of solar PV to reduce its running costs and reduce its carbon footprint. This £15K system with 260 watt ELPS modules and Enphase micro inverters will pay for itself in less than 6 years. All the equipment is guaranteed for 25 years and the feed in contract is 20 years. On 4th July this system started generating at 5.10 am and stopped at 9.20pm. 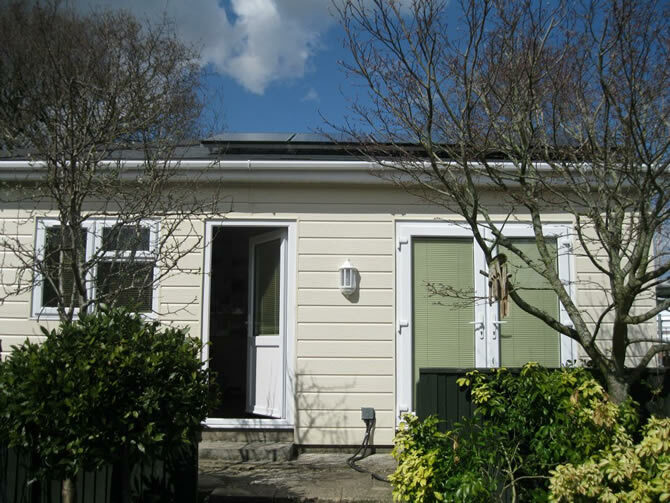 And of course, the NGPS offices in Poole, Dorset, are also solar powered! NGPS offer a FREE Microgeneration Certification Scheme (MCS) Energy Survey to establish your energy usage and tailor your renewable installations to suit. They are not tied to any manufacturer or supplier and can therefore supply and install the best solution to each application. As Electrical Contractors Association (ECA) members they have built their business on quality installations using quality tradesmen. The ECA represents the best in electrical engineering and building services and only associate themselves with the top few percent of electrical contractors. Their quality and customer care is second to none, as Dorset Energized’s own founding member Vince Adams can testify after being particularly impressed with his recent solar PV installation by NGPS. They are accredited by MSC, Green Deal, REAL Assurance, BPVA, ECA, NAPIT and Trust Mark. Join the FJ Chalke team at A.P. 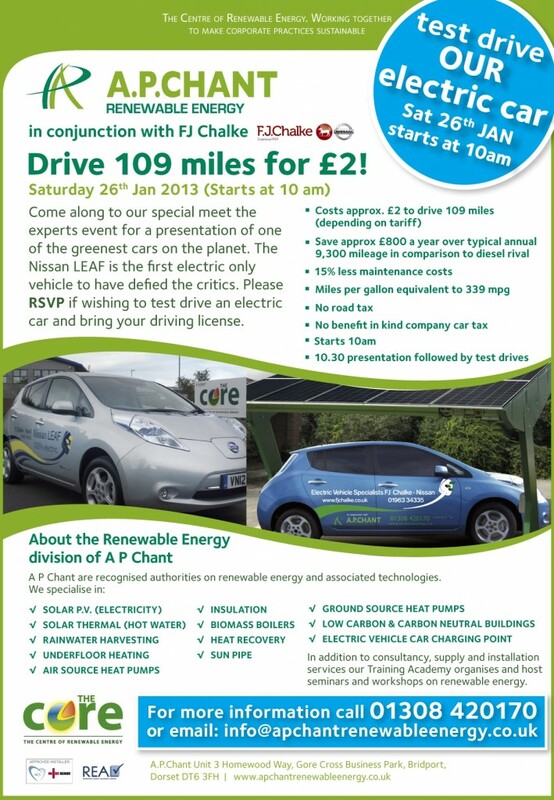 Chant’s Centre of Renewable Energy, The Core, Bridport Dorset, on Saturday 26th January to learn all about the 100% electric Nissan LEAF. Arrive at 10am ready for a Presentation at 10.30am. After the presentation you will then have the opportunity to drive a Nissan LEAF (so don’t forget your driving licence) and you will also get the chance to explore A.P. Chants renewable energy centre The Core, and have a look at rainwater harvesting, solar panels, biomass boilers and lots more. If you would like to join us please RSVP to me, Sharon Fay, at FJ Chalke 01963 34335 or email sharon.fay@fjchalke.co.uk (Places are limited so book early!). Energize Stur Valley recently carried out a survey of North Dorset residents on their views on renewable energy. Enthusiasts on the subject that we are, even we were surprised at just how positive they all are about renewable energy. Some 90% of people questioned felt positive towards renewable energy projects, and 90% also felt that Dorset should generate more if its own electricity, since it currently generates a tiny 0.0001% of the electricity that it uses. The most popular idea for generating renewable energy was photovoltaic panels on industrial and agricultural buildings, with 93% of those questioned in favour. These are frequently very suitable for PV owing to their large roof areas that are not overshadowed, as long as they face south. Also extremely popular was the idea of putting PV panels on the roofs of public buildings, such as schools, with 90% in favour. Again, these buildings tend to have large, accessible roof areas. PV panels at ground level were far less popular, with only 52% in favour, it being often remarked that it is better to grow food in fields where possible. The latest large wind turbines are by far the most efficient way to generate electricity in our climate. However, they do have a significant impact on the landscape, and not everyone considers them things of beauty. This was reflected in the survey, with 48% in favour of the large wind turbines and 59% in favour of the smaller 20-metre-high models. Both hydropower and anaerobic digesters were highly popular, both with 86% in favour. Anaerobic digesters can be a good option on farms producing animal waste, such as indoor poultry and pig units. They can also use collected food waste from catering outlets and food processing businesses. Finally, 65% of those questioned thought that it was a good idea to set up community investment funds, whereby local people can invest in local renewable energy projects with a relatively small investment, thereby keeping the income generated within the community. We have taken this on board, and are looking into how this can be done. The survey gave a fascinating insight into what North Dorset people really think about renewable energy, and we plan to repeat it in the future to see how views change as renewable energy projects come into production. Watch this space! 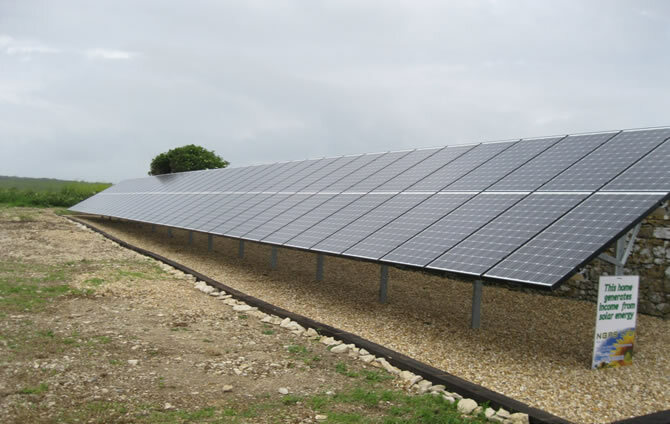 "Dont think the locals would complain if you put quiet, low PV panels in the Milborne area. What I want to know is if this is a survey of North Dorset residents where and how was it carried out because as a North Dorset resident no one has asked me to fill out a survey? And how many surveys were returned as unless you had a return rate of 75% of North Dorset residents it’s not a true reflection of the area! This site needs to clarify the data it uses! Otherwise its just a sales pitch. May be trading standards should look in to it! " "There is no doubt that sources of renewable energy should be a primary consideration for all. But lessons should be learned about the impact of wind turbine sites from those areas with insight and knowledge. A review of the literature (and Court settlements) reveals that dwellings DO suffer noise disturbance (planning councils in Scotland are advised not to grant planning permission within 2 km of residential dwellings), ‘flicker’ causes distraction to drivers on nearby roads and tourism is detrimentally affected. These three issues convince me that the proposed Milborne Wind Farm (sited close to dwellings, adjacent to A35 and in an area where many residents run B&B businesses) must be strongly opposed. " How efficient are solar panels and how much energy do they need to be made? Tim Evans from Ace Energy for Plumbing, Heating and Renewables – www.ace-energy.net – has sent us some PDFs on Solar Energy produced by a Norwegian company called REC – www.recgroup.com. The information sheets are clearly manufacturer produced, but very interesting and positive if you compare their payback time with the payback time for Nuclear, at best 50 years, and with waste being active for centuries. Just Power have released news and further advice for communities, on the recent changes to the Feed-in Tariffs (FIT) which reward generators for producing electricity. There is a straightforward explanation of how the feed in tariffs work on their website on www.justpower.co/Feed-in-Tariff. Recent reductions in the price of solar PV system equipment remains competitive and are still able to provide around 9% return on investment without meaning that quality has to be compromised. The Government amendment to ‘Permitted Development Rights’ means it’s easier – and a bit cheaper and quicker – to get your solar PV project moving along. From 6th April 2012, a solar PV system being retro-fitted on non-domestic property will no longer require planning permission as long as certain rules and criteria are met. There are other government changes on the horizon, but being prepared for them means you still have time to plan and fundraise for your community solar project – remember that it will take longer than if you were just organising it for your house! If you’d like help planning or fundraising for your community solar PV project you can contact Just Power or see their guide to planning your solar PV project. 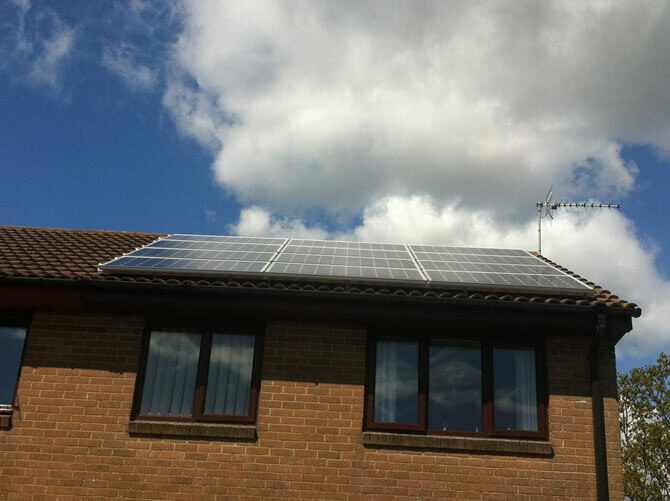 For more information visit Just Power’s website: www.justpower.co/Feed-in-Tariff. Just Power for Communities CIC is an MCS accredited specialist in Solar Photovoltaic (PV) systems for community owned buildings. It operates in Cornwall, Devon, Plymouth, Torbay, Somerset, Dorset, Bristol, Wiltshire, Gloucestershire and Hampshire. 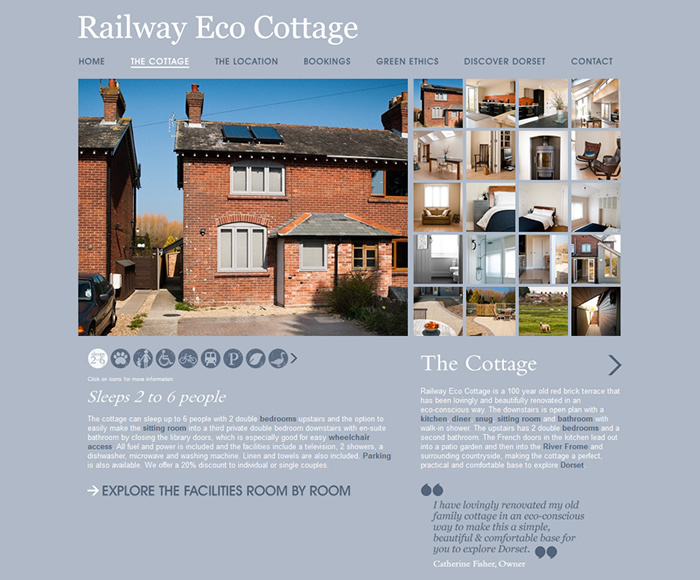 As a social enterprise it has an understanding of the importance for communities to create renewable energy, reduce energy consumption and improve energy efficiency from Village Halls, Schools, Churches, Community Centres, managed workspace or offices. Come and say hi to the Dorset Energized team at the Sturminster Newton Show, where we’ll have our Nissan LEAF, solar panels, heat pumps, and will be running a questionnaire to assess the local feelings and requirements of Renewable Energy. This is a great family day out with vintage cars and vehicles. There’s also a tent and plenty to entertain the children! Even when we moved into our house in Hazelbury Bryan in 1989 I knew I would one day put some photovoltaic panels on the roof. It’s a nice simple roof and near perfect south facing. In fact is southerly orientation is one of the main reasons we like the house. It always feels light and sunny (weather permitting.) However, my wife is very pragmatic, we’ve never been rich and the cost of the panels has been just too high. When I checked the first time in 1999 they had a 50 year pay back! So it was a no. Then during a pleasant drunken session at my local pub one evening during 2010, I persuaded a fellow village mate that he could benefit from a career change to become a PV salesman because I reckoned (beware of people who reckon something!) that the new feed in tariff that the government were introducing would lead to massive growth of that industry. I have to admit to being very surprised to discover a few months later, that he had taken me seriously and had become very busy with what he described as “consultative salesmanship” at a series of home visits and surveys. I felt obliged to allow him to quote for a 4 kW PV array on our roof. He told me he’d give me a good deal (as they do.) I got a couple of other quotes and “negotiated” a bit. Even my wife now thought the financials looked good. £15,000 for a 4 kW 16 panel top of the range (18% efficient) Sanyo system. The returns were estimated to be a total of £1.870 from the feed in tariff, lower electricity bills and electrical export to our electricity supplier from the 3,700 kWh our system was expected to generate. That’s an eight year payback and a 12.4% return in the first year! We had various bits of savings, none of them earning more than 3.5 % after tax (and some a lot less!). So we bit the bullet and had the panels installed on 22nd June 2011. As of 18th April 2012 we have generated 3,240 kWh and received 2 cheques from our electricity supply company for the first 6 months totalling £943. We still have a bit of April, May and most of June to go before it will have been in for a year so I think we will comfortably exceed the predicted generation. I reckon (I do a lot of reckoning) that our end of year generation will be around 4,100 kWh. That will be worth £2,120 giving us a 14% return and a 7 year payback. "Hello I think that your blog is very nice! "